Could this single idea hold the key to a lifetime of success, love and happiness? L. Ron Hubbard’s great discovery in Dianetics was a mental barrier to success called an engram. Engrams are subconscious memories of bad experiences. These damaging memories of traumatic adversity and failure are powerful barriers to success—subconscious negative thoughts holding you back from achieving your full potential while causing painful emotions and a pessimistic outlook. In Dianetics, you’ll discover a technique for clearing your subconscious mind from all the engrams it contains. When you rid yourself of these harmful memories and thoughts, you gain control of your emotions. Negative thoughts, which can cause emotional stress and unproductive behavior, are no longer triggered without an obvious reason. Once you purge the engrams from your mind, you’ll enjoy greater confidence, more courage, and a positive viewpoint that will enable you to get all you want out of life. You’ll be fully aware of the world around you and possessed of a rationality based on experience. Chick Corea is just one of dozens of famous people who credit Dianetics for helping them achieve their most ambitious goals. Others include radio and TV host Kerri Kasem, musician Stanley Clarke and NFL player Nick Ferguson. 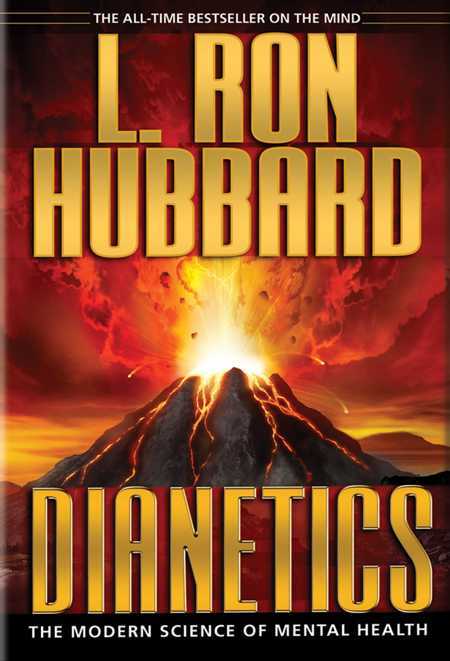 “Thanks to books by L. Ron Hubbard, more people are finding solutions to their problems and apply[ing] the technology of Dianetics,” reports the UCLA Graduate Student Nursing Association. 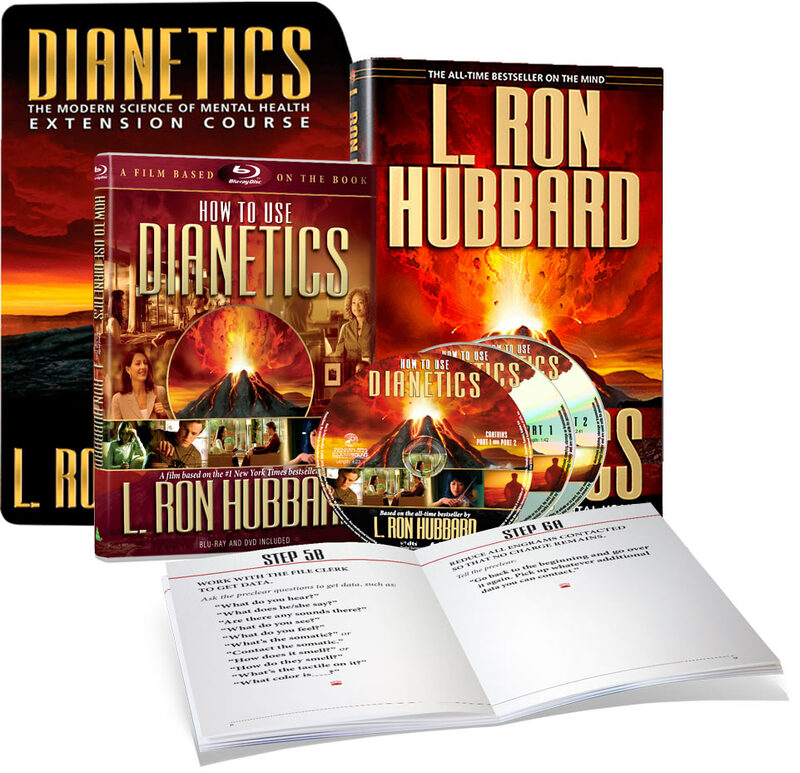 The best way to master the technology of Dianetics quickly is with The Dianetics Home Study Program. 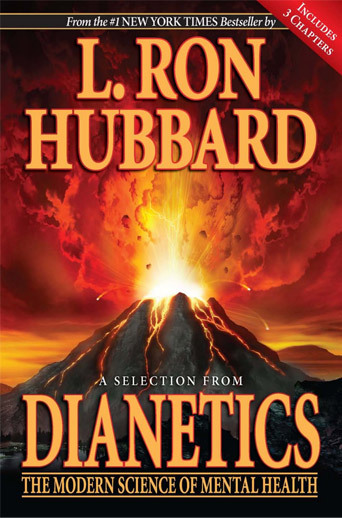 In high-quality hardcover format, this 677-page book contains the full technology of Dianetics. 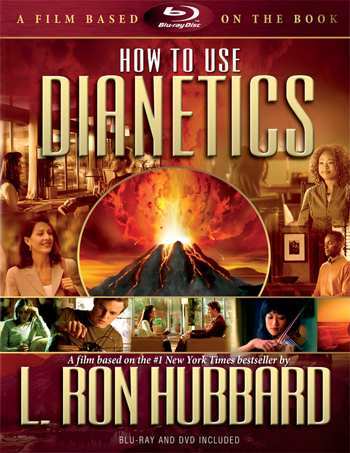 A high-definition bluray presentation (with DVD alternates included) which takes you through each aspect of the application of Dianetics. To enhance your reading experience on the L. Ron Hubbard book you purchased... and to help you put what you learn to use faster... our chapter-by-chapter extension course is now available! Start date: Whenever it's best for you! Course length: The length of the course is up to you. Take your time, there are no deadlines. There is no flunking—the purpose of the course is simply to help you make positive changes in your life. You work with a real live supervisor who can answer any questions you have. Upon completion of the course you receive a formal certificate which will be mailed to you. Taking an extension course is the easiest and most efficient route. The total value of the kit’s contents is $100. But order now and your investment in mastering the life-changing Dianetics technology is just $50—a savings of 50%! When your kit arrives, read the book. Watch the film. Do the extension course. Put Dianetics technology to work. To order The Dianetics Home Study Program, call toll-free 800-722-1733 today. Or click on the button below. Yours free—A Selection From Dianetics—the key concepts of the #1 New York Times bestselling book Dianetics: The Modern Science of Mental Health. Your privacy is 100% guaranteed. We will not share your information with anyone. We may send you additional emails from time to time but you may unsusbcribe at any time. By following the instructions in Dianetics, you can rid yourself of the engrams that are the cause of most of your debilitating fears—worries and anxieties holding you back from achieving your most important goals… and your full potential. In Dianetics, a person who has eradicated engrams is said to reach a state called Clear, because he has cleared fear-triggering and irrational subconscious memories from his mind. With Dianetics, you can move toward a Clear mind, free of irrational fears. The result: You have control of your emotions. No longer are fear and dread triggered all the time for reasons you don’t know, causing you to act out of anxiety like a puppet on a string and have unwanted emotional stress. When you no longer live in fear, your attitude becomes positive, and more important, your hesitancy and timidity are replaced by courage and boldness—giving you the ability to go after and achieve your dreams. Are you held back by your “reactive mind”? A reactive mind is composed of engrams, the impressions of past events of pain and unconsciousness. 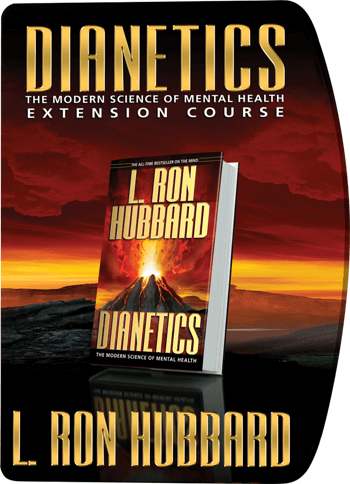 By showing you how to reach the state of Clear, Dianetics gets rid of your reactive mind! And when a Clear no longer has his own reactive mind to contend with, he suffers NONE of the ill effects that the reactive mind can cause. By freeing you from your reactive mind, Dianetics enables you to think rationally and without crippling fears, even when faced with the same situations that in earlier times caused you difficulty, suffering, or harm. Instead of inability to cope, you gain ability to face these difficult situations again, only this time with success instead of failure. Get rid of the destructive content of your reactive mind for good. Reduce crippling worry, fear, and anxiety. Become more alive, energetic, and self-confident. The answer is their reactive mind. And when you clear away your reactive mind, you stop doing dumb things and making wrong decisions… and take positive, bold, decisive actions that can lead to major improvements in your life. What do you desire most in this life? Great wealth? Good health? Safety and protection for your family? To feel secure and safe in an uncertain world? Or perhaps you want to leave your mark on the world—to feed the hungry, shelter the homeless, and help those who have less than you do. Whatever your goal… personal, spiritual, or material… the cutting edge “science of the mind” in Dianetics not only puts those goals within your grasp, but frees you from fear, doubt, and uncertainty so you can work vigorously for their attainment—and succeed! 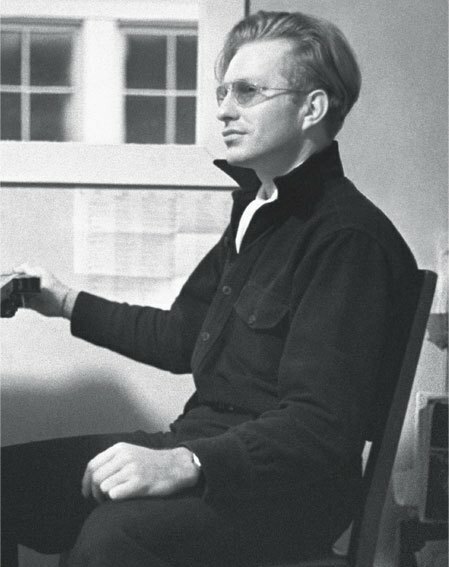 Established in 1981, Bridge Publications, Inc. in Los Angeles, California, is the publisher of the nonfiction works of international best-selling author L. Ron Hubbard. Bridge publishes for the geographic region encompassing North and Latin America, Africa, Asia, Australia, New Zealand and Oceania. Bridge’s sister organization—New Era Publications ApS in Copenhagen, Denmark—publishes Mr. Hubbard’s nonfiction and fiction works for Europe, the United Kingdom, CIS, India and the Middle East. 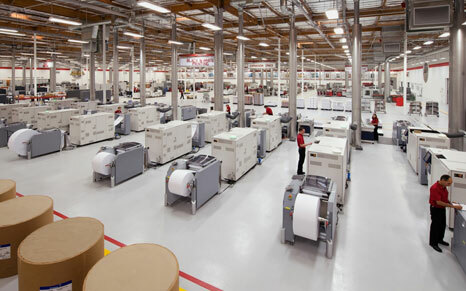 Bridge Publications' digital printing line. History of Bridge Publications, Inc. The history of Bridge Publications actually began soon after the release of Mr. Hubbard’s watershed 1950 work, Dianetics: The Modern Science of Mental Health. To meet the growing demand throughout the United States for more titles, the first publishing organization devoted exclusively to Mr. Hubbard's works was established in 1951 in Wichita, Kansas. It was there the author was conducting further research into the mind and spirit, writing books and articles detailing his discoveries, and delivering lectures to the community and Dianeticists from around the country. If you still have questions, please contact us or use the chat button on the bottom right corner of the screen. We’re happy to help! For over 67 years people all over the world have been using Dianetics by L. Ron Hubbard to help them increase their self-awareness, confidence and overall happiness in life. 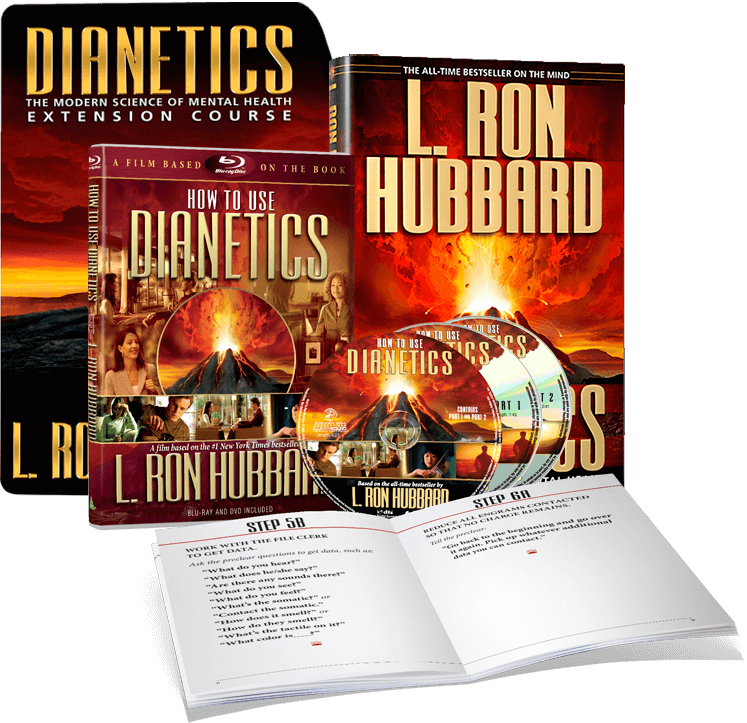 Of course, as with any self-betterment program, the degree of success that each individual experiences with Dianetics depends largely on how they use it. The program in the book contains exact directions and they should be followed closely for best results. Ultimately, individual results will vary from person to person depending on their unique situation. However, no matter what you choose to do with Dianetics, our 30 day money-back guarantee applies and if you are unsatisfied with your purchase for any reason are entitled to a full refund.